This week High Frequency Trading (HFT) was on the hot seat with the Senate and House Subcommittees. 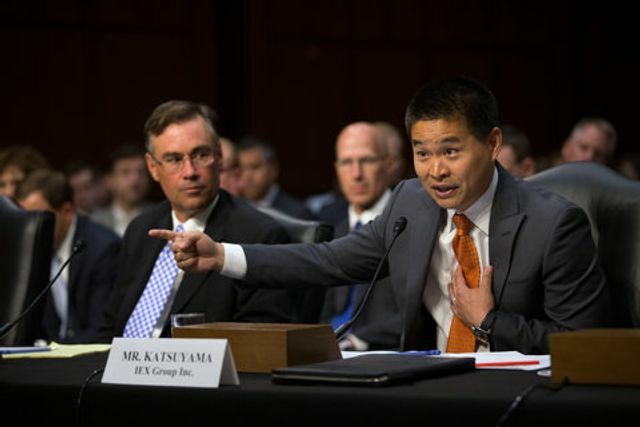 After Micheal Lewis' controversial book "Flash Boys," Washington has become much more interested in HFTs. Its clear that Capital Hill doesn't understand the problem and that HFTs continue to be a very controversial topic. Stay tuned to see how the government regulates the industry. Mr. Quirk was one of several witnesses called before the Senate Permanent Subcommittee on Investigations to discuss potential conflicts of interest in today’s highly fragmented market where upstarts like high-frequency trading firms have been blamed for distorting prices and taking advantage of small investors. Lawmakers zeroed in on payments that brokerage firms like TD Ameritrade accept for routing customer orders to particular exchanges or trading firms. The issue has divided the stock exchange sector. The president of the New York Stock Exchange, Thomas W. Farley, asserted on Tuesday that a system called maker-taker payments, in which exchanges pay rebates to brokerage firms for orders, created “inherent” conflicts. But the chief executive of the BATS Global Markets exchange company, Joseph P. Ratterman, played down that concern, saying the conflicts could be managed. But when Mr. Quirk was questioned, the talk was less hypothetical. Senator Carl Levin, Democrat of Michigan, who leads the panel, pointed to data from the fourth quarter of 2012 that showed that TD Ameritrade directed all nonmarketable customer orders — meaning, orders that could not immediately be consummated based on the market price — to one trading venue, Direct Edge. It so happened that Direct Edge paid the highest rebate.